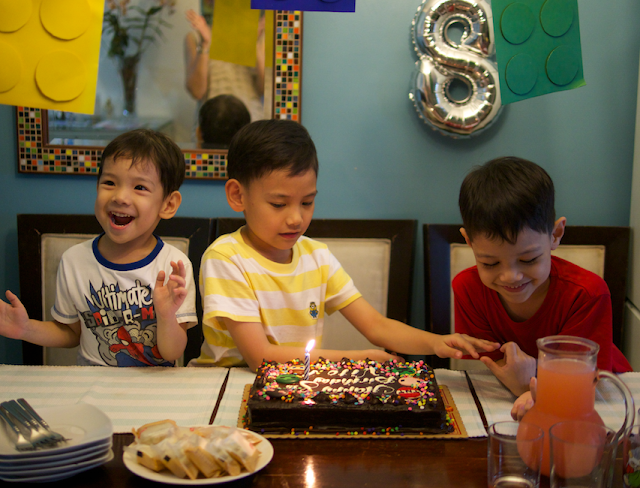 TOPAZ HORIZON: Vito is 8! 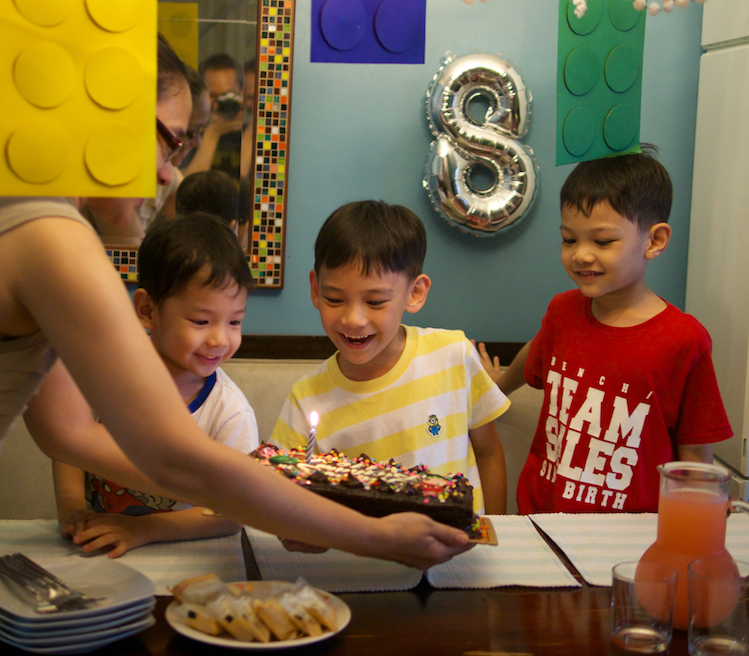 A month ago today, the boy who changed my life forever celebrated his 8th birthday. The great thing about having many kids is you have an instant party anytime, all the time, but especially at celebration time. And a birthday is always a party at our house! 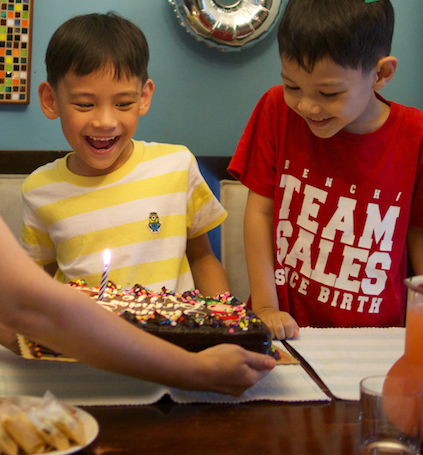 Three little boys so happy to celebrate! I love these three kiddos. They are the happiest little creatures I've ever met. Reminds me not to be so serious. 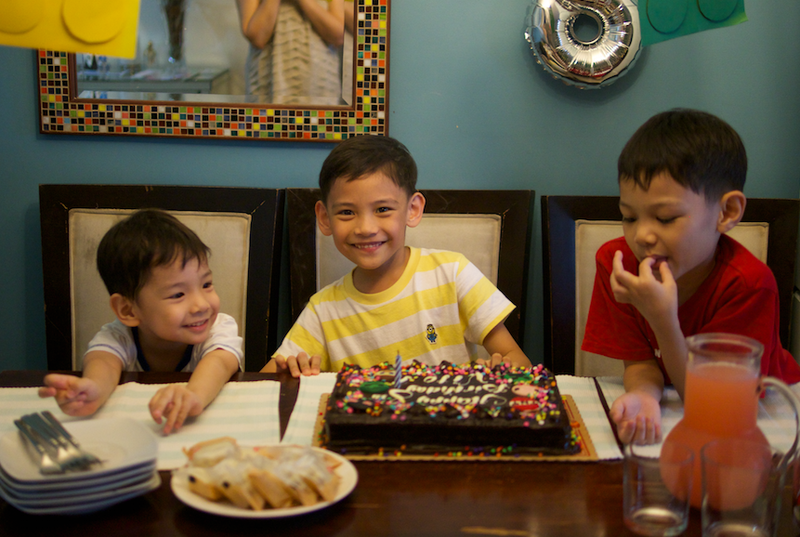 For his birthday, all Vito wanted was a rainbow cake and a day at Kidzania. So that's what we did. 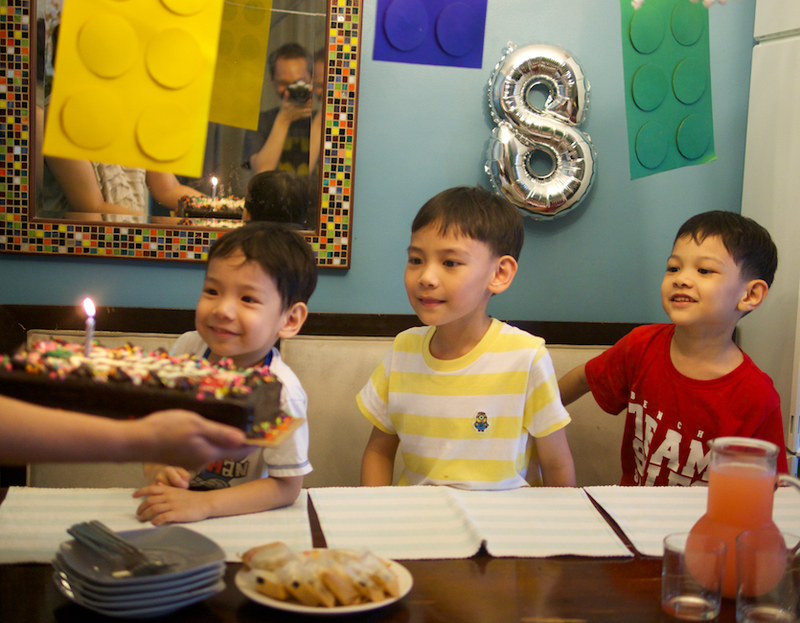 We got him a Red Ribbon rainbow cake that I decorated with Minecraft icing buttons and candy confetti. And we trooped to Kidzania so the boys can pretend to be grownups for a day. We didn't realize how strange it would feel for your son to not ask for toys anymore. Vito asked for an experience, a day of fun. No physical reminders of his big day, just memories. And maybe that's the first sign he's not a little boy anymore. Here he is quietly contemplating his birthday wish as we all loudly sing him his birthday song. Thinking about his wish is the only time his face grows serious. I wonder what he was thinking of at this very moment. We never ask. A birthday wish is the only secret they can keep, I tell them. And they usually do keep it to themselves but blurt it out anyway hours after. 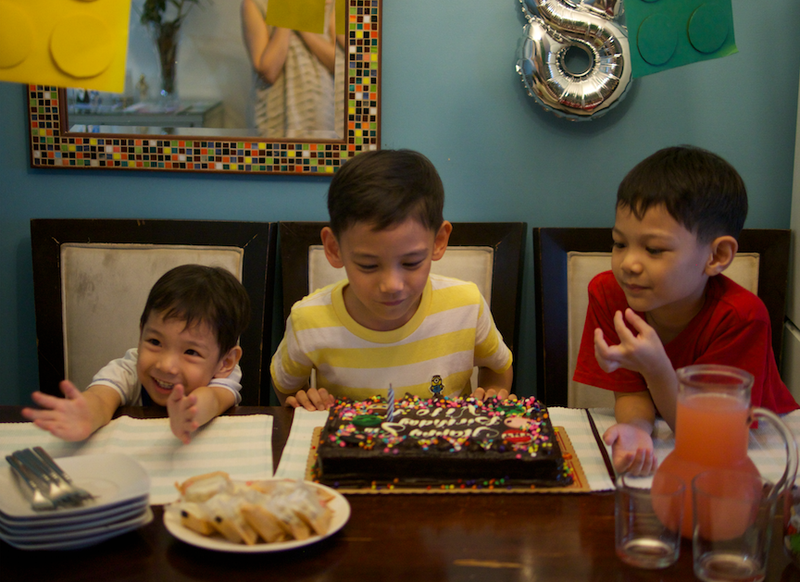 This year, Vito didn't reveal his birthday wish. We never ask, remember? But this year, because he didn't say anything to me at all, I couldn't help it. A few days later, I finally asked. "What did you wish for when you blew out your birthday candle?" "I didn't wish for anything, Mama," he said. "I already have everything I want." *heart melts* "Everything?" "Well," he finally said. "I want more Skylanders but I can ask those from Santa." He still believes in Santa. Vito still believes in Santa Claus! He's still my little boy! Look at that boy. How did I ever make such a perfect child? He's a reminder every day of how good life is, how our family is a celebration of love and grace, how blessed I am. All I have to do is just look at him and his brothers. But I'm usually too focused on chores, work, getting things done... And so I forget. Look at that boy, I say to myself when I finally look up from all I need to do as a mother. Just look at him. And never forget how amazing life has been especially these past 8 years. Happy birthday, my sunshine! You are our joy forever! Belated Happy Birthday Little Boy Vito! So sweet of you to wish like that on your birthday nakakatunaw ng puso para kay mommy. Stay that way. Mommy Frances kids nowadays kakaiba na ang mentalidad at nakaka-amaze. Ang bilis nilang lumaki. Kung pwede lang bata lang sila forever..